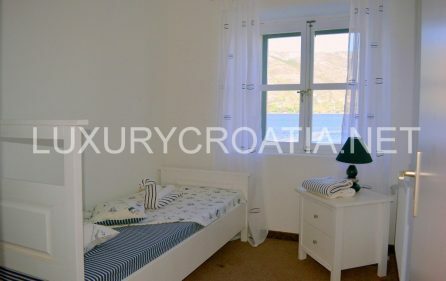 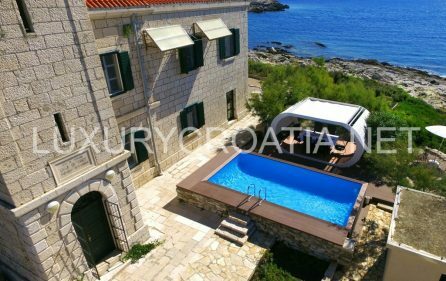 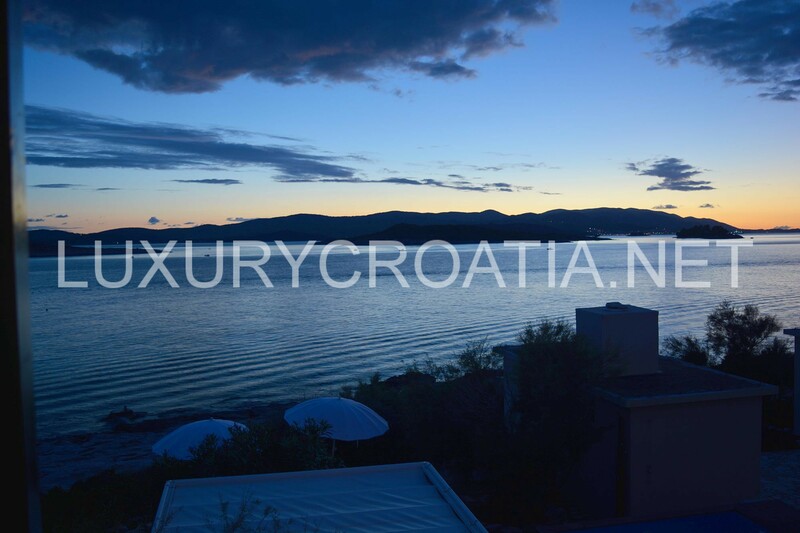 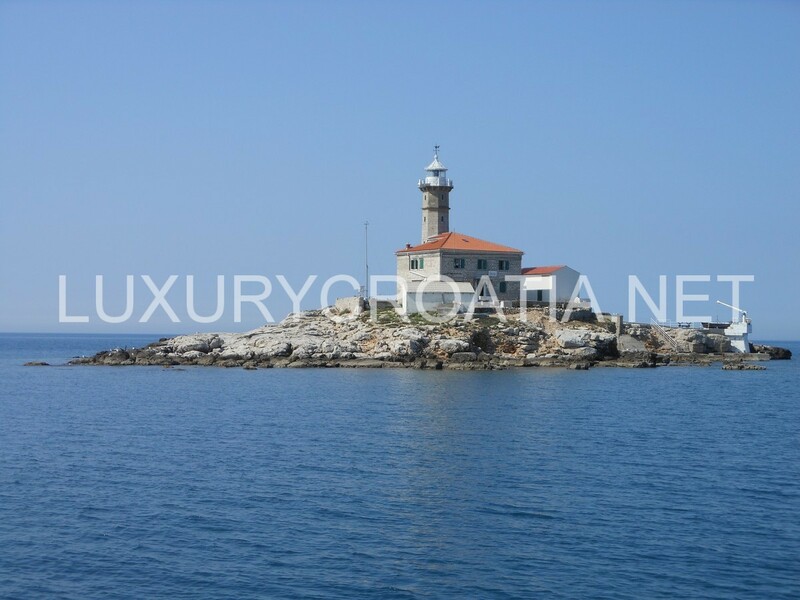 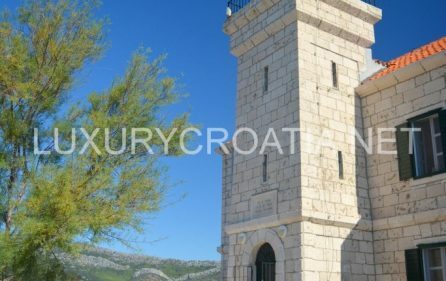 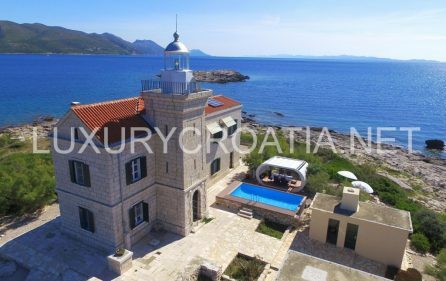 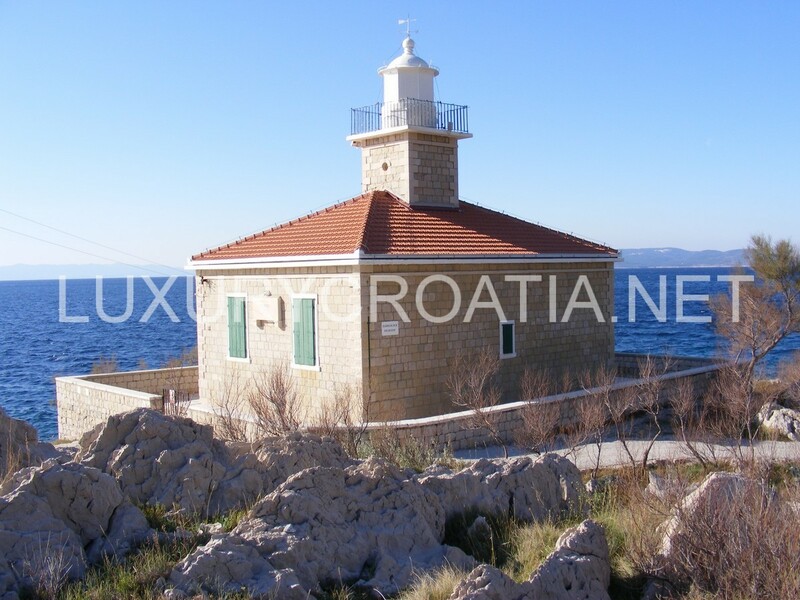 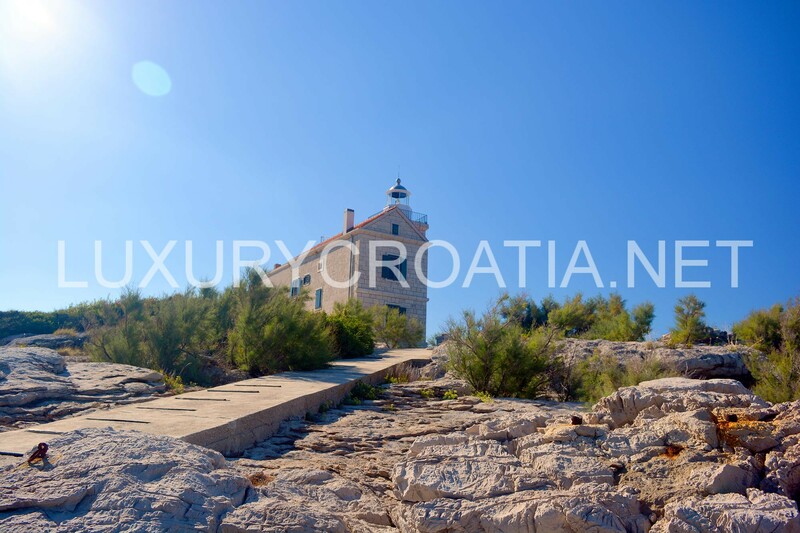 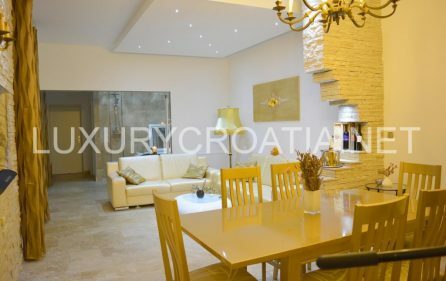 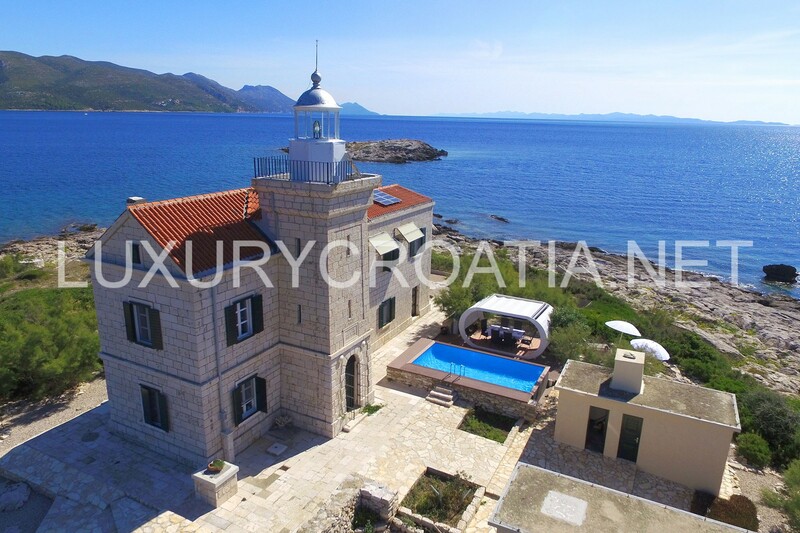 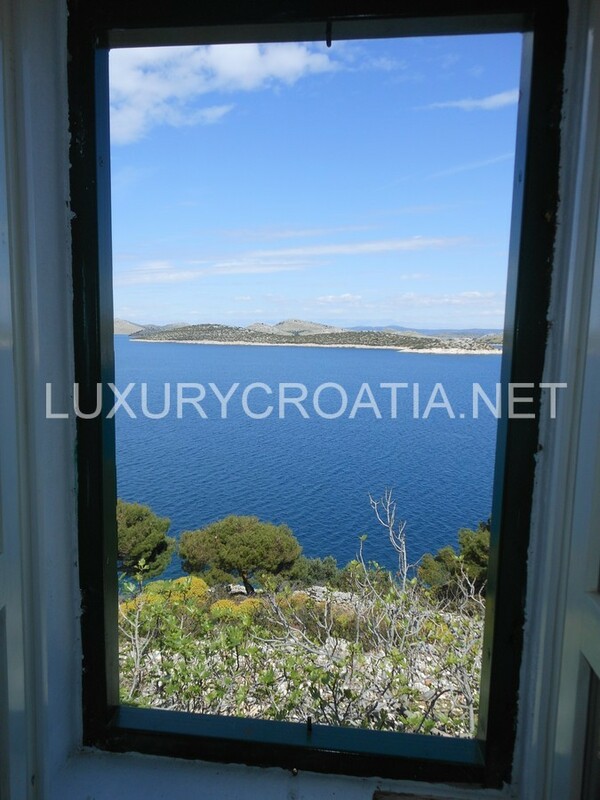 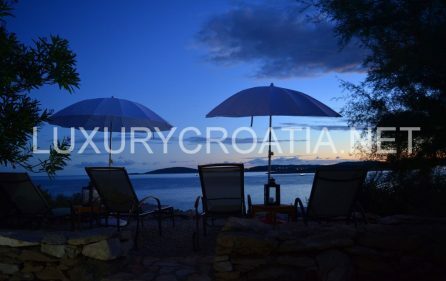 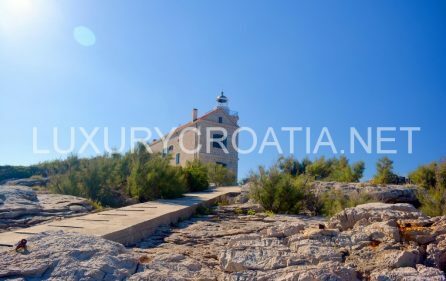 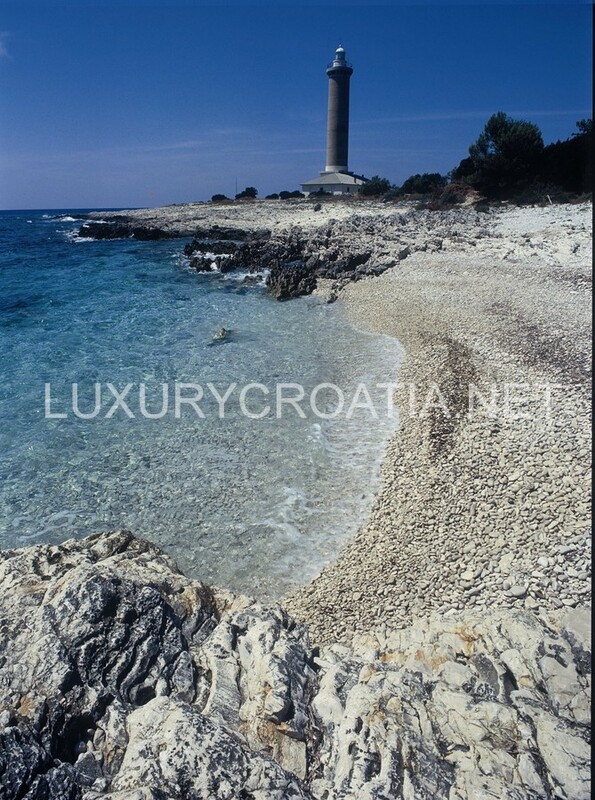 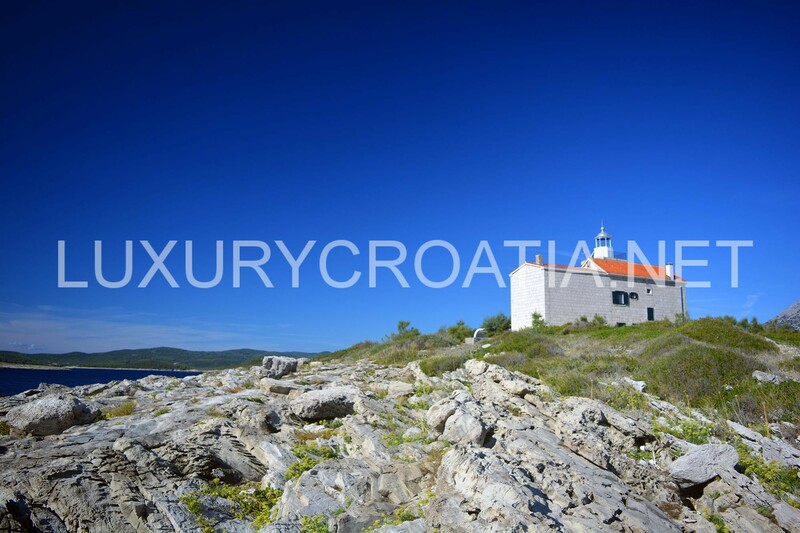 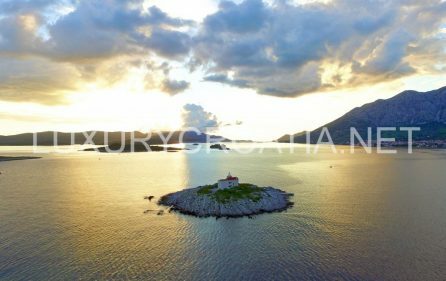 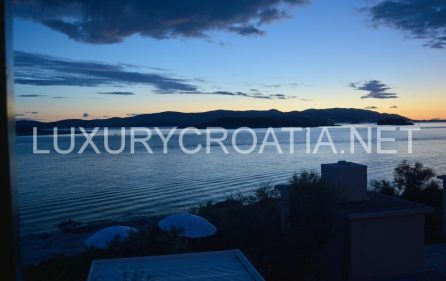 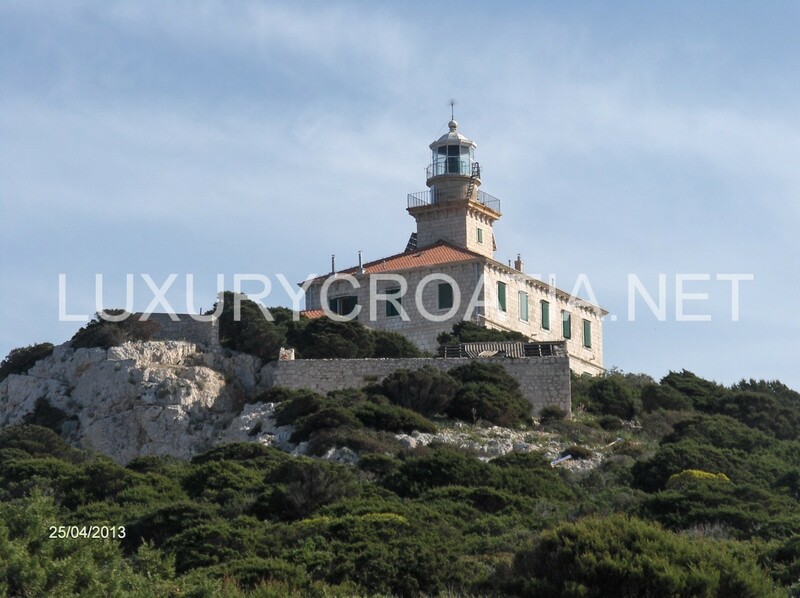 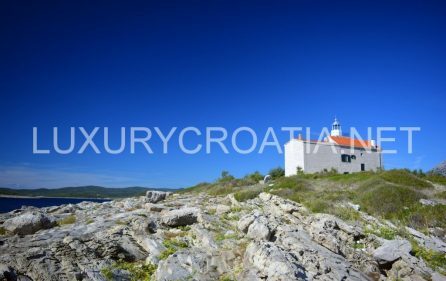 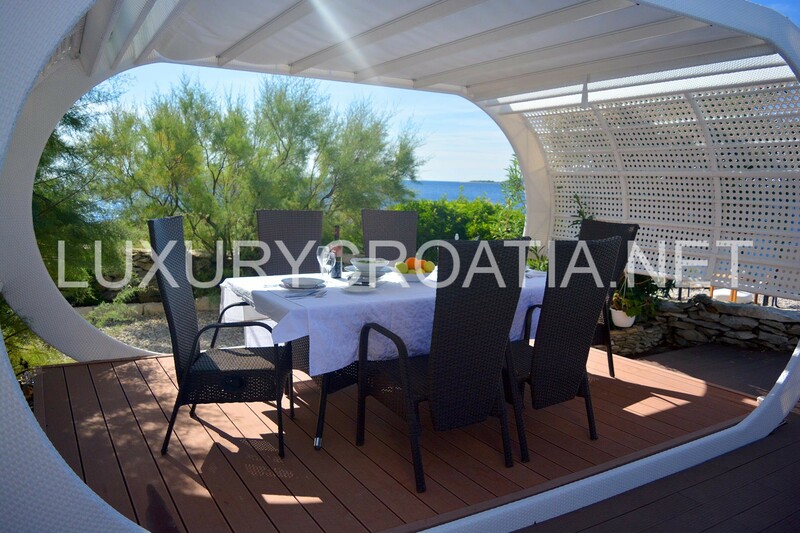 Lighthouse with pool for rent near Korcula island, Croatia – This wonderful villa is settled on a lighthouse that was built in 1871. 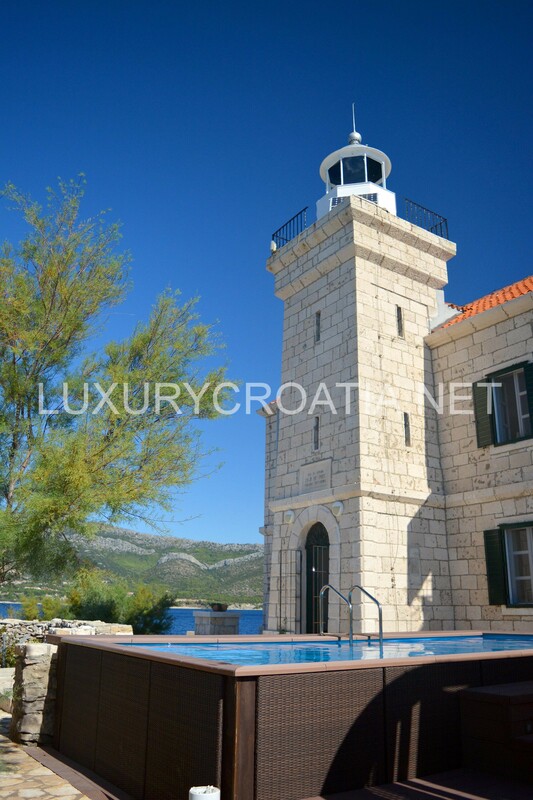 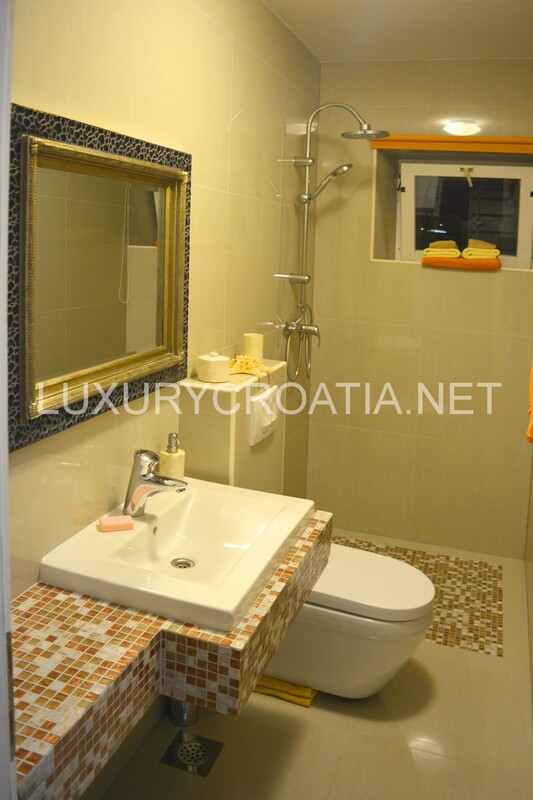 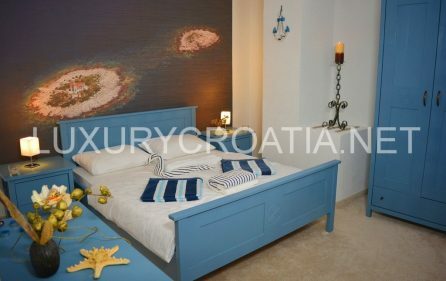 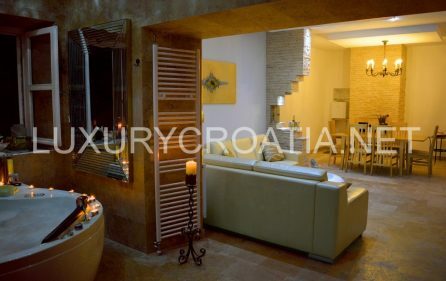 It is situated on a small island near Korcula, in the south part of the Peljesac channel. 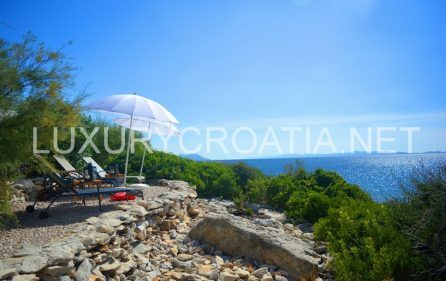 It is an oasis of natural beauty, peace, and enjoyment in sun, sea, scuba diving and fun you can create for yourself without being disturbed by other people. 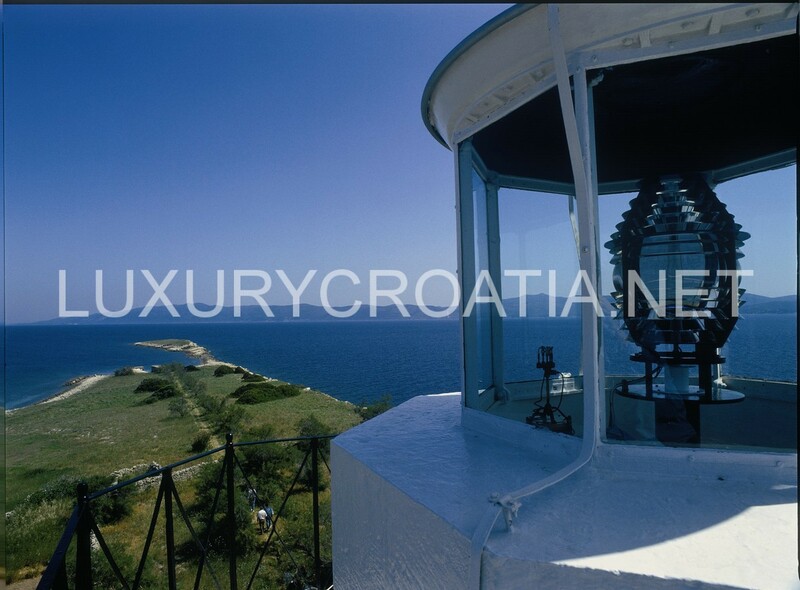 The outside appearance of the lighthouse is rustic but inside is decorated in modern style. 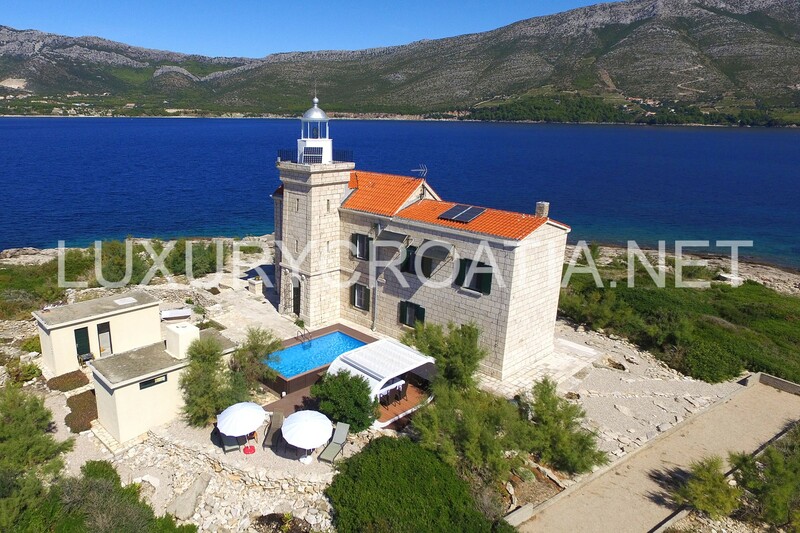 It is a solar powered lighthouse with 4 bedrooms including TV, 2 toilets, 3 showers, and dining room with jacuzzi, TV set, Bluetooth speaker, free Wi-Fi, private beach and outdoor swimming pool. 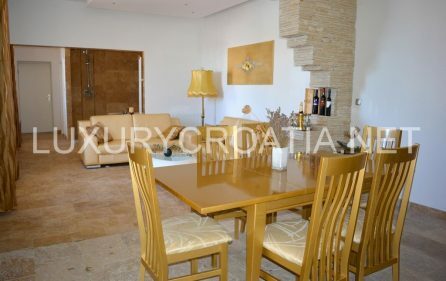 In the villa, there is a menu with local dishes that can be delivered from one of the best restaurants around within a few minutes and served by the staff to the villa’s guests. At guest’s disposal are jet ski and boat with a skipper (available 24 hours, with additional fee). A boat can take you to island Korcula that is only 15 min away, Orebic 7 min, Dubrovnik 1 hour 30 min and peninsula Peljesac 10 min. 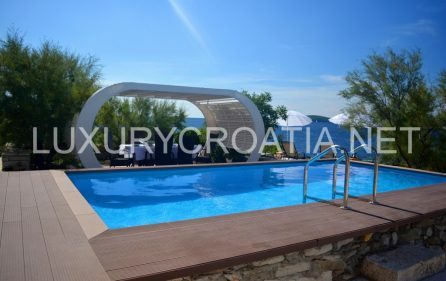 If you have additional wishes that are not in this offer, we will do our best to meet your demands to make your stay here completely perfect! 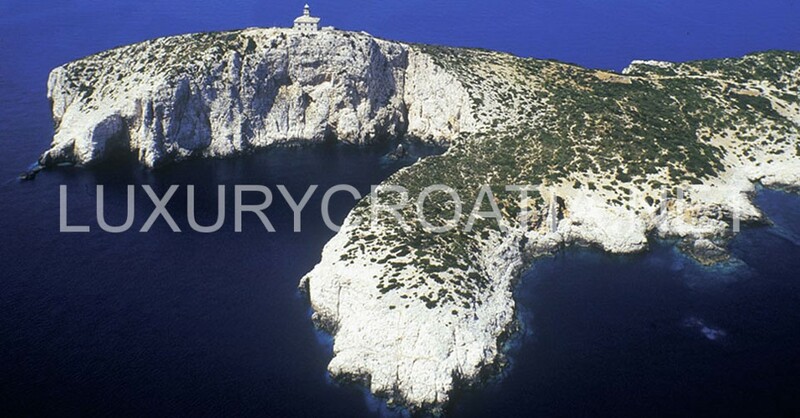 The area is well known for the wine and oysters! 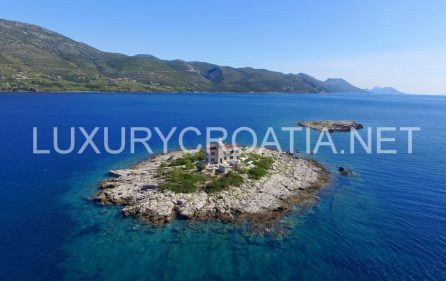 Guest who decide to pay extra 30% for this service and who stay for longer than 5 days, will have a gratis transfer to Korcula or Orebic every day, any other boat transfer for trips can be arranged within a few minutes!